Above: Derreck Kayongo, pictured here at the City Winery Freedom Seder brings energy to any event he attends. When you meet Derreck Kayongo for the first time (and every time thereafter), as this tall, 46-year-old native of Uganda smiles and extends the long fingers of his right hand to shake yours, you might eye him from head to toe in amazement. 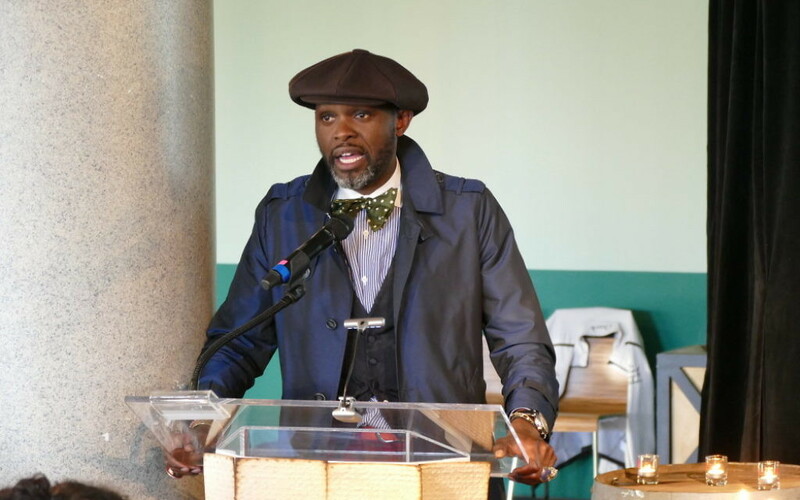 Kayongo, the chief executive officer of the National Center for Civil and Human Rights, has a unique sartorial style, as members of the Jewish community have seen recently at such events as Am Yisrael Chai’s Daffodil Dash and City Winery’s Freedom Seder. Sitting for an interview, he wore black shoes, gray socks with large circles of pink and yellow, red plaid pants, a form-fitting dark-blue jacket with brass buttons and epaulets, a flourishing pocket square, a dark-blue tie with pink figures on it, and a pink-checked shirt with a white collar. He sported rings on his pinkies, one a distinctive oval of copper and the other an animal head. His mother, Miriam, is a seamstress who used her little boy as a mannequin. Shortly before the interview, he had talked with her on the phone. “If she showed up and saw me with my pocket and my socks, she’d be very elated,” he said, laughing. Derreck Kayongo jokes that his attire puts to shame all the running gear people are wearing at the Daffodil Dash on April 3. Kayongo laughs easily and generously. When he speaks, whether the subject is human rights or table tennis (not “pingpong”), passion and enthusiasm are clear in his voice. Less than a month before Passover, the conversation focused on the holiday’s theme of liberation, his personal liberation story, his perspective on the Jewish community and his vision for the center. Kayongo grew up in Kampala, the capital of Uganda, in East Africa. His father, Thomas, operated a printing business and manufactured soap as that product became scarce. Seeking to escape the brutal reign of dictator Idi Amin (as a boy, Derreck witnessed an execution in the street), Derreck’s mother and sisters fled to Kenya. Thirteen-year-old Derreck followed, while his father joined anti-Amin forces. In Nairobi, young Derreck was befriended by an American missionary, a woman who inspired him to “demand excellence out of yourself.” After studying in Kenya, he came to America at age 22. 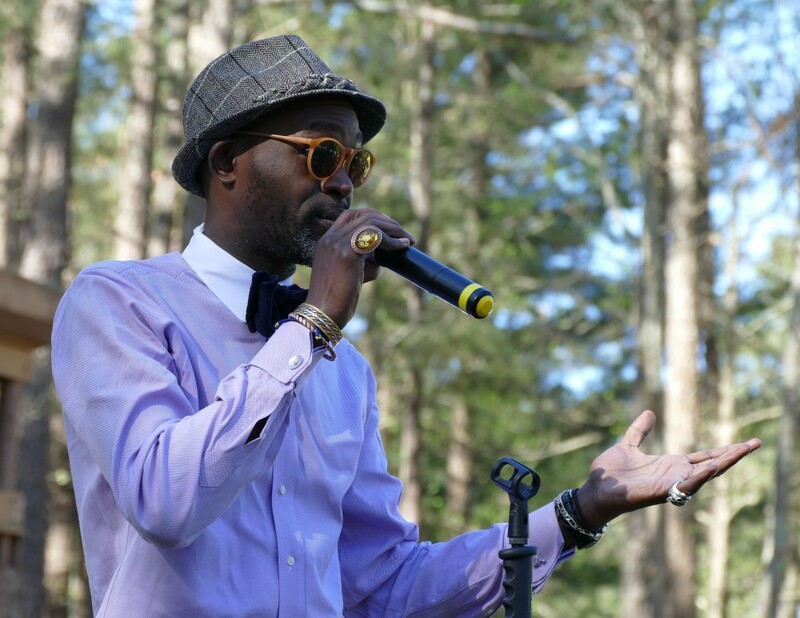 Three years later, in 1995, Kayongo graduated with a degree in business administration from Messiah College, a private Christian college in Pennsylvania. In 2014 he added a master’s from the Fletcher School of Law and Diplomacy at Tufts University in Boston. When the downfall of Amin made a return to Kampala possible in 1987, his mother opened a bridal shop (the second largest in the country, her son boasted). His father became a parliamentarian and an official of Uganda’s secret service. Once ensconced in America (he became a citizen in 2005), Kayongo learned the ways of nongovernmental organizations, working for the American Friends Service Committee, Amnesty International and CARE. 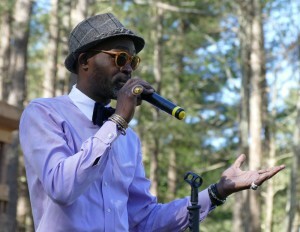 The experience gained with those organizations helped Kayongo bring to fruition in 2009 the Global Soap Project, an idea born when he arrived in Philadelphia and was shocked to learn that American hotels routinely disposed of millions of bars of soap while populations in Africa suffered from hygiene problems. Kayongo’s partner in creating the Global Soap Project was his wife, Sarah. Sarah Namukasa, a fellow Ugandan, met him when they were students at Daystar University, a Christian liberal arts university in Nairobi. After graduating from Messiah College, she earned a master’s degree from Eastern University, near Philadelphia. Several months ago she left her position as country director in Malawi for the global logistics firm DHL and is studying for a doctorate in economics at Georgia State University. The project began with the couple collecting soap from hotels around Atlanta and recycling and reforming it in the basement of their home in Lawrenceville. As it grew, the operation moved to a warehouse in Norcross. Kayongo made the first delivery, of 5,000 bars, to an orphanage in western Kenya in 2010. The reprocessing now takes place near Las Vegas. No longer managed by the Kayongos, the Global Soap Project has distributed soap in 32 countries. 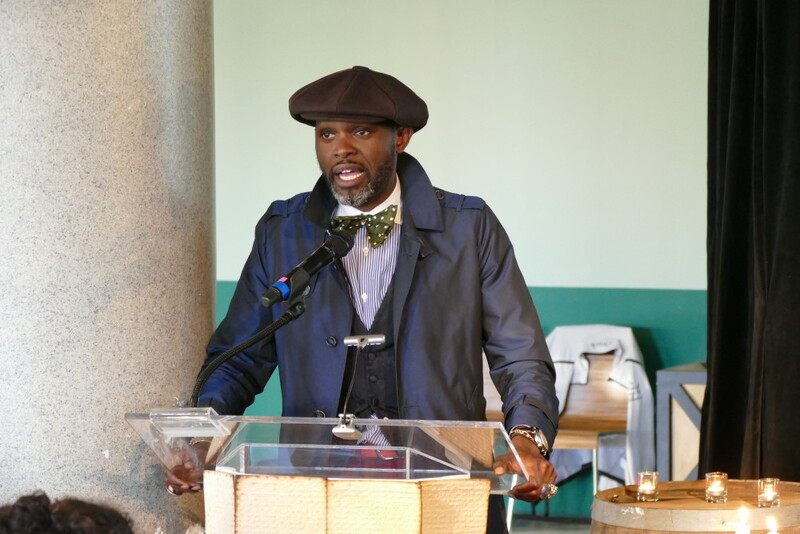 Kayongo was named in December to succeed Doug Shipman, the founding CEO of the Center for Civil and Human Rights. The 43,000-square-foot center, which opened on Memorial Day two years ago, shares downtown green space with the Georgia Aquarium and the World of Coke. Its architecture guides visitors from the history of race relations in Atlanta to an examination of civil and human rights globally (including a life-size cutout of Idi Amin). Also displayed are papers and memorabilia from the life of Martin Luther King Jr., a rotating exhibit from the Morehouse College Martin Luther King Jr. Collection. The center does not release figures on the number of visitors, not wishing that to be the metric by which its success is measured. The center’s mission is “to inspire people to go out and change the world,” said A.J. Robinson, the president of Central Atlanta Progress and the Atlanta Downtown Improvement District and vice chairman of the center. “Those involved in the creation always felt like the story of Atlanta being the birthplace of the civil rights movement was a story that had national and international connotations and implications. He offered a different perspective. “In addition to morals, the narrative is around this idea of the marketplace. If you decide to exclude people because of a particular compunction you have, that shrinks the marketplace,” Kayongo said. The conversation included the intersection of Kayongo’s homeland and the Jewish people. In 1903, at the time of the pogroms in Russia, Theodore Herzl considered a proposal to create a temporary refuge for oppressed Jews in Uganda. The idea was rejected two years later at the Seventh Zionist Congress. In the early years of the 20th century, a community that became known as the Abuyudaya (“People of Judah” in the Luganda language) broke away from the Christianity brought to Uganda by missionaries. Their leaders adopted the rudiments of Judaism, as they understood them from the Old Testament. In 1926 a Jewish trader known as Joseph stayed for six months, teaching the followers Jewish prayers and customs. Over the decades, the Abuyudaya became rigorous in their observance. Today there are believed to be some 2,000 Abuyudaya in Uganda. With Passover approaching, Kayongo recalled attending a seder several years ago at the home of a CARE colleague who is now the Southeast director for Jewish National Fund, Beth Gluck. “You have to go through that particular ceremony to understand what they’re trying to do, which is remembering hard facts … reciting these old stories of what it means to have repression around you, dogma around you, exclusion around you, and yet, as the story goes on, it starts to talk about self-actualization and fighting back and staying the course and staying alive, so for me I think that I identified with it,” he said. Kayongo’s contacts bridge what he recognizes to be “several Jewish communities” in Atlanta, but he has particular affection for one member of the community. “Perhaps for me the most important Jewish person, if there is anyone like that in the city, is Cedric Suzman,” Kayongo said. Suzman, the recently retired executive vice president of the World Affairs Council of Atlanta, stands out in a way that an African immigrant might understand more quickly than an Atlanta native. Suzman’s aunt, Helen Suzman, a white Jewish woman, from 1961 to 1974 provided the lone consistent voice in the South African Parliament opposing that nation’s system of racial separation, apartheid. Kayongo admires the Zionist effort to re-establish the Jewish culture and the Hebrew language in what became the modern state of Israel. He acknowledges that Zionism has critics. “They associate some of the hard-core positions that have been taken in the creation of a Jewish state, either rightfully or wrongfully, but what is behind that particular facade, if you want to call it that, is a sociological need to exist by the Jewish state,” Kayongo said. Asked how to reconcile two peoples with competing narratives about the same land, Kayongo said: “Both communities need to determine that. I think the rest of us are weighing in, but what do they want? The center’s role is to convene those voices, to determine what they want. So we are here to use a reference point, an anecdote, a footnote,” referring to the civil rights movement in the United States. About the role the center can play against prejudice, specifically anti-Semitism, Kayongo said: “We’re here at the center to serve as a reminder of what it looks like when you don’t accommodate and move from wider accommodation to allow and move from the word ‘allow’ to realize that people have the right to be here. Our job is to remind people that we have seen struggles from Nelson Mandela, from Gandhi, from Malala, to Martin Luther King. We’ve seen all of them use nonviolence to arrive us at a place of recognition and reckoning. So the center serves as a place for you to remember. The Center for Civil and Human Rights will hold its second annual tribute dinner on Thursday, May 5, honoring Sherry Frank, former regional director of American Jewish Committee in Atlanta; the Rev. Joseph Lowery and his late wife, Evelyn, among the civil rights veterans who conceived the center; and Sussan Tahmasebi, a women’s rights activist in Iran. In keeping with that admonition to “demand excellence out of yourself,” Kayongo has lofty goals for the center. “Accomplishments can become rather normal. But an exceptional being is one who understands that the stakes are high, that talent cannot just be normal talent. It has to be crafted into a skill set that is beyond, that can imagine things that are unimaginable,” he said.